Move forward with polishing animation. 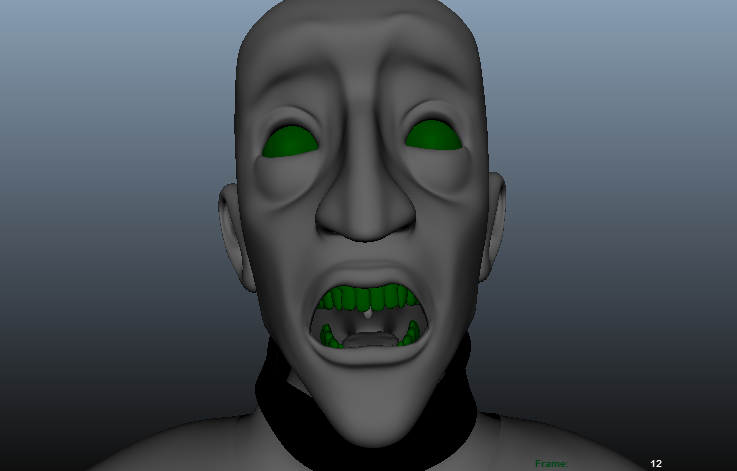 I was able to take two more shots from super rough to a polished state with facial animation. ELC 020 and 030 are ready for one more look from the team for crit and one more round of polish before they will be ready to render. I’m also currently in the process of redoing a couple shots because I’m unhappy with the initial result . I also took some time to pose a shoggoth tentacle for a poster. That took longer than expected because I ended up having to directly tweak the model because I couldn’t get it in the shape I wanted with just the rig. Other than that I’ve planned out what I need to get done each week to stay on track and so far I’m on schedule. This week I’ll be working on our interior tent scene. I have three shots in this scene that I’ll have polished for next week’s crit. I’ll also try and make some tweaks to last week’s shots. I planned to continue chugging along at animating my shots. Our team hit crisis mode because we had to get our wall put up in the URBN center lobby on Monday but on three different attempts the print center was closed so we ended up getting in some trouble. I was also unfortunately busy during my team’s complete panic about the wall (which I feel bad about) but everyone pulled through and got stuff printed and put up. What I ended up helping with this week was getting some stuff ready for our presentation on tuesday. I animated a turntable for our shoggoth monster. It’s tentacles move and flail while it’s body looks like it’s breathing. I also threw together a couple reaction shots of our characters for our trailer. Nothing fancy, just 24 frames of them gasping. The plan was to get all my shots blocked in for the camp/ tent scene, throw the finishing touches onto the elder thing model, and fix my references. I didn’t end up getting blocking done for the camp/ tent scene because layout got delayed but it’s suppose to be finished by the end of tonight so I’ll be working on getting as much of that blocked in before our meeting with our adviser on Wednesday. Dave and I did film new reference for that scene so we are ready to go as soon as layout is finished. 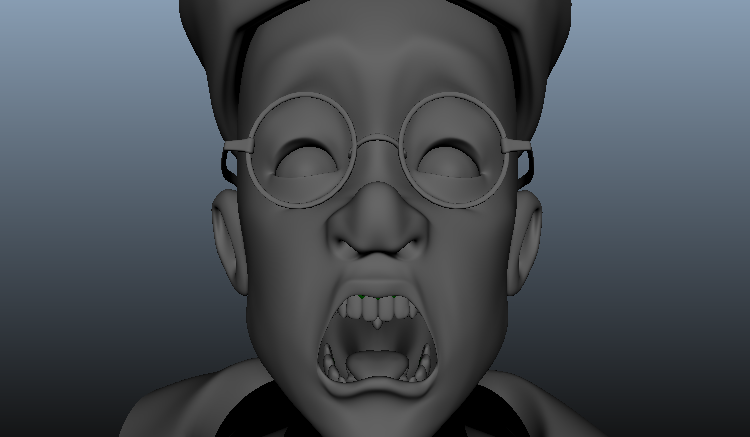 Since I couldn’t work on blocking I continued to work on roughing in the animation for my scenes in the trench. I did fix my references for Josh, which was a stupid error on my part because I forgot a folder in the reference path. 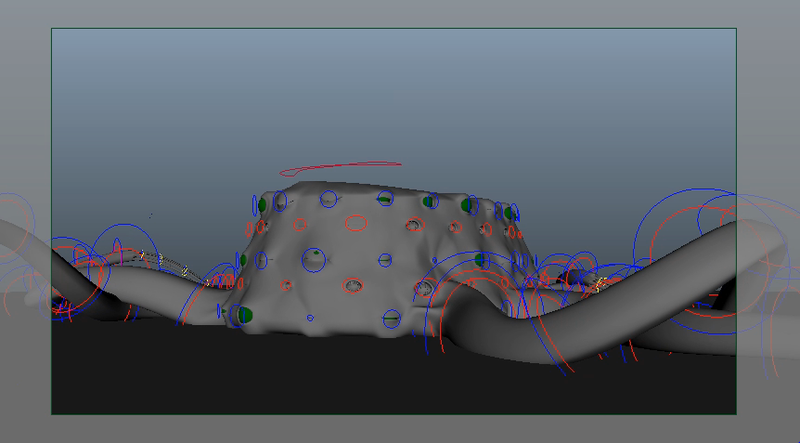 I finished the elder thing model which I’ll hand over as soon as I’m instructed what to do with the UV’s. This coming week I plan to definitely have everything blocked for the camp/ tent scene and I’m going to try and get the rough animation done for EAC 070 and ET 020, faces and all. Oh, and a big factor for why I only have about 10 hours for my PPJ this week is because I ended up having to spend about 40 this week fixing a lot of problems for an independent study I’m currently enrolled in (rig issues). BUT all that has been solved so as part of my plan for this week I’m going to dedicate 30 hours minimum to just animating for senior project. There I’ve said it! Now I must do it!